"We're very concerned," said Rona Siegert, director of Idaho Department of Correction Health Services. 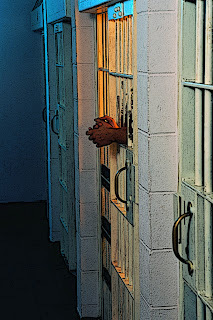 Prisons in the United States are comprised mainly of non-violent drug offenders, people in prison who did not murder or commit a sexual offense who are probably there for a drug charge. Jails and institutions have been the answer to America's addiction epidemic; lock someone up and after they are clean for a while we spit them back on to the streets to repeat the same actions as before. Recidivism with drug offenders is absolutely staggering even with the advance in drug treatment programs which have found a way to get inside the prisons and try and help inmates who suffer from addiction. The programs are state funded and usually are not even close to the caliber of private treatment facilities; inmates rarely get the vital tool they need to stay sober on the streets. The AP recently reported that a medical audit, by Idaho Department of Correction officials, earlier this year shows that a private prison outside Boise has: "extensive problems administering medical care, including inadequate records; delays in providing medications, immunizations and mental health care; and a lack of follow-up or oversight when inmates are returned to the lockup after being hospitalized". The state of Idaho is ordering the private prison company Correction Corporation of America to pay thousands of dollars and fix problems with drug and alcohol treatment and medical care at the Idaho Correctional Center. CCA was contracted to provide drug treatment counselors and medical care to inmates. Ten of 13 drug and alcohol counselors who were provided by CCA were unqualified to provide adequate treatment, according to the AP, "the state ordered CCA to provide it with a plan to fix the medical care problems by May 25, but the company has already missed that deadline". "That's the whole purpose of the audit, to find these things before they get to a level where they're critical", said Siegert. The problems happening at private prisons in Idaho echo the problems occurring in prisons all over the country - lack of adequate treatment. A lot of money gets funneled into prison drug rehabilitation programs and very little results have been seen.